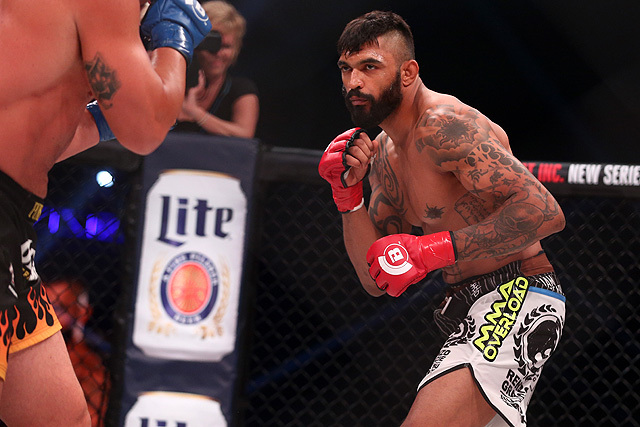 Liam McGeary was once one of the brighter and more exciting prospects coming up in the ranks not only for Bellator MMA, but in the sport as a whole. Now, he’s trying to figure out how to get his career back on track. The light heavyweight raced off to a perfect 11-0 start to his career with eight first-round stoppages. 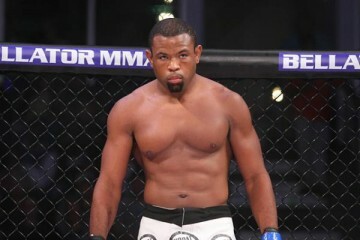 In fact, four of his first five victories in Bellator came within the first five minutes of action. 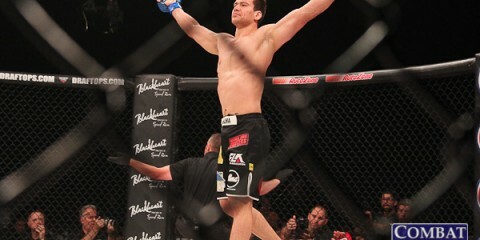 McGeary seemed poised to take his division by storm and become one of the next great fighters for Bellator. Then, Phil Davis jumped ship from the UFC and the outlook for McGeary quickly changed. There was no way Davis wasn’t going to climb to the top of the mountain and become the Bellator light heavyweight champion. 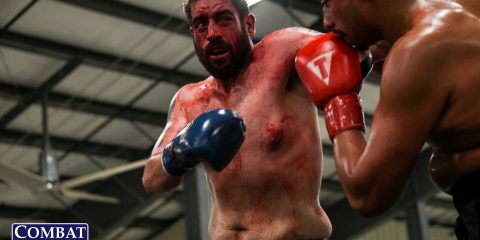 McGeary, who had won the title with a decision nod over Emanuel Newton in early 2015 and successfully defended it against UFC legend Tito Ortiz later the same year, was looking to go 12-0 and defend his belt for the second time when he met Davis in late 2016 following more than a year of inactivity. McGeary would drop a decision to Davis, though, and now seems to be stumbling. The 34-year-old is has just one win in his last three fights. His most recent fight ended in a submission loss to Linton Vassell. Something clearly is off for McGeary. McGeary’s losses to Davis and Vassell were no surprise to anyone who has seen the Brit compete. McGeary has obvious holes in his game that were often overlooked due to the finishing ability of the English light heavyweight. McGeary’s grappling just hasn’t developed since he won the belt from Newton. The former Bellator champ has a good offensive grappling game, but he fails to finish easy submissions that would make his guard a very dangerous aspect of his attack. This lack of finishing ability has been detrimental. Then, there’s the defensive side of the sport. McGeary needed to keep the fight on the feet against both Davis and Vassell, but he failed in dictating those terms. His chance of victory is far better when the fight takes place on the feet. This is even more specifically true against Davis and Vassell. Davis, a four-time NCAA Division I All-American and one-time national champion, is one of the best wrestlers in the light heavyweight division. He can secure the takedown on probably most of his potential opponents within the 205-pound weight class. He’s used these skills to defeat top light heavyweights Alexander Gustafsson, Antonio Rogerio Nogueira, Lyoto Machida and Glover Teixeira. 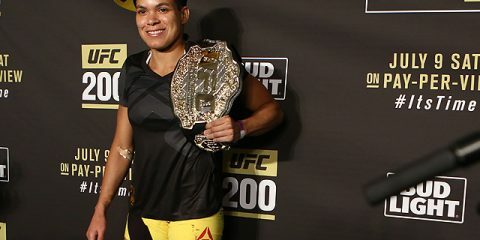 Vassell might not have the same decorated wrestling background as Davis, but the British fighter has made a living off of winning fights on the ground. He has eight submission victories, including the finish of McGeary, and some of his decision wins came in grappling-heavy performances. His overall skill set has allowed him to score decisions over the aforementioned Newton and UFC veteran Francis Carmont, in addition to McGeary. This hole in McGeary’s game isn’t anything new. Even Ortiz sought to exploit it, but to no avail. However, McGeary needs to show some progress in the grappling department in his next few fights. The breakdown for a McGeary’s fight right now is pretty formulaic: keep the fight standing and avoid the ground. The British star needs to break this trend. There wasn’t much McGeary could do to beat Davis. The fight was an uphill battle to start. Davis is a clear top-five light heavyweight in the world and his grappling was just too much to really give McGeary a chance of doing what he does best — getting the knockout or winning the fight on the feet. McGeary couldn’t be expected to counter the world-class wrestling skills of Davis on the basis of one wrestling-focused training camp. Vassell, on the other hand, was an absolutely winnable fight. The Blackzilians fighter is a solid veteran, but he’s no overwhelming force akin to Davis. McGeary should have been able to edge the 33-year-old, but he didn’t. Why? Well, Vassell’s two losses came against Muhammed “King Mo” Lawal and Newton. Both of those guys had ground games to back up their striking. McGeary doesn’t. McGeary wasn’t overrated. He just isn’t a complete fighter. No one in the modern era of the sport can survive on just one half of the battle. 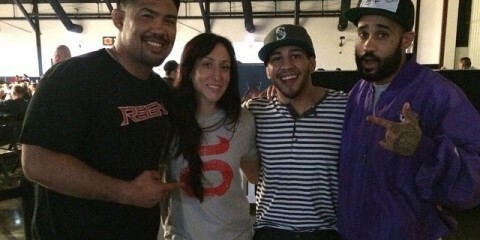 McGeary is a great fighter who has run into some good names. 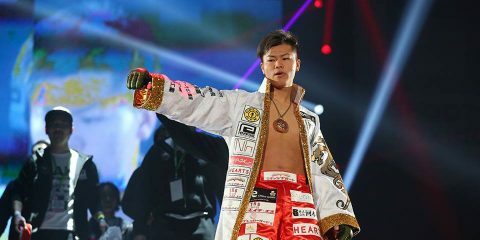 We’re now seeing the hole in his game amplified while he competes in high-profile bouts on the main card. The flaw has always been there, but he hasn’t fought anybody who could exploit it until recently. McGeary has done a great job in dictating the terms of engagement, save for these last few fights. The next couple of fights should be telling. If McGeary can show some signs of progress in his grappling, then it would be excellent for his long-term prospects as a fighter. McGeary can’t expect to coast on just his striking. He needs to be a complete fighter if he wants to reach the potential everybody knows he can hit. It just takes time to get there.